Offer # 1: Go With a Pro- $75.00 in FREE CLEANING! Sign up for Weekly or Bi-Weekly Service and take $25.00 off your First, Third and Fifth Cleanings! -Dirt, Contract and Worry FREE! 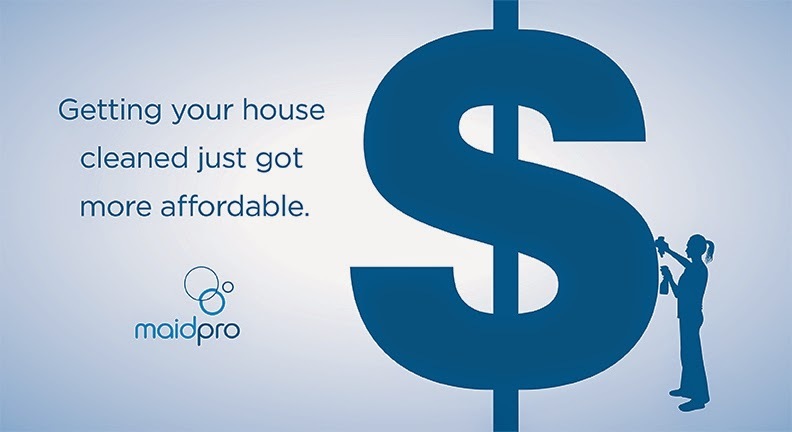 Offer # 2 :Go With a Pro Cleaning Deal! 40% Off Cleaning Service from Maid Pro: Choice of 2 Hour, 3, Hour, or 4 Hour Cleaning. MaidPro has a fresh deal for you. Swipe up 2, 3, or 4 hours of House Cleaning from MaidPro for 40% off. Using a 49 point checklist system, this is not your typical weekly swish and swipe. For either $59 for 2 hours, $85 for 3 hours or $109 for 4 hours, the team at MaidPro will clean up your act and free you of your foolishness and mayhem. Yes! This deal is available. Contact us today!